Did you know that it is not necessary to have a Web Site under IIS to get benefits from Acumatica Platform? 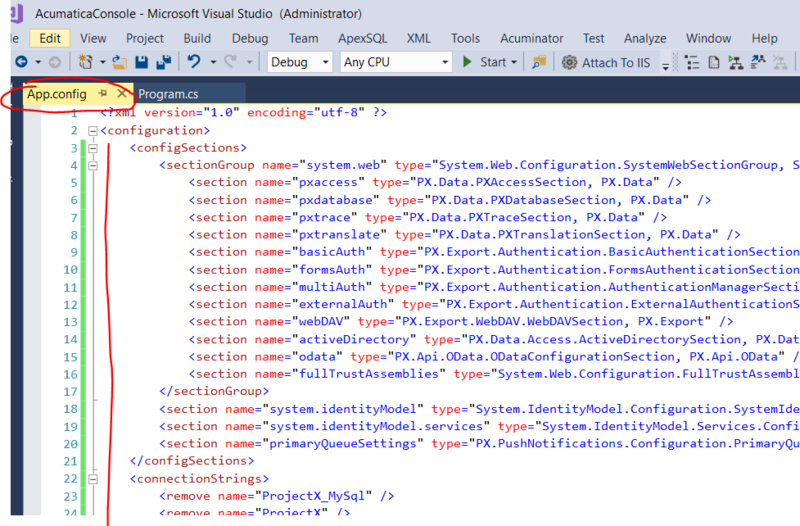 You actually can run Acumatica platform even from console app! Use Acumatica Platform as normally you do that. configurations. Please try to avoid to use same names or settings as Acumatica uses as it may affect Acumatica execution. PXLoginScope is required to identify user and company that should be used for database selects. PXLoginScope is scope type class and will be effective only for nested code, so as soon as you leave the scope block user is logged out. Please also note that login is filled with the following format “username@company”. Acumatica will automatically parse it and extract user and company for internal login. Password is not required here as the login done from code. Alternatively you can login user using PXLogin class, where password will be checked. Now you can use your Favorite BQL even from Console App 🙂 Or write a fast testing program without screen or interface! Awesome, these posts that open up possibilities of automation of managing my small collection of instances are my favorite.